Not all self-defense situations happen inside the home. Basic personal protection skills are good to know, but a violent confrontation in a street or an alley is a very different animal compared to defending yourself inside your house. Knowing how to find and use cover is important and presenting a pistol from concealment can be challenging. Learn how to empower students with the solutions to these challenges by taking the NRA Personal Protection Outside the Home Instructor Course with GTBR. 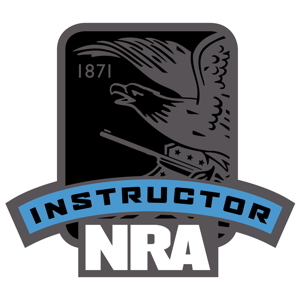 This is a more advanced course, so you must already be an NRA Certified Pistol Instructor and NRA Certified Personal Protection In the Home Instructor. If you have not completed the NRA Basic Instructor Training within the last two years, that will also be required for this course. Finally, you also must have completed the NRA Personal Protection Outside the Home student course with a score of 90% or better, which we usually teach in conjunction with the instructor course. In order to undertake the NRA Certified Personal Protection Outside the Home Instructor course at GTBR, you need to know the basics of firearm safety and have a measure of proficiency in shooting skills. There is a link below to the pre-course assessment exercises to ensure you have a suitable background in firearms. This is a 2-day course that includes classroom exercises as well as dry-fire and live-fire time at the range. The basics of self-defense were covered in the prerequisites, so expect to practice advanced pistol handling and self-defense skills such as one-handed shooting while properly using cover. You will also practice teaching these skills to other students. Merely learning the skills is not the objective of the class. You will have to demonstrate your ability to perform each skill in order to progress and finish the course. The course ends with a qualification exam testing the material learned. You will receive an NRA Basics of Personal Protection Outside the Home Instructor Candidate Packet and a signed certificate allowing you to teach the NRA Basic Personal Protection Outside the Home student course. Completing the NRA Certified Personal Protection Outside the Home course will equip you with the skills necessary to teach students how to safely use firearms to defend themselves and their families, no matter where they are. It also includes training material to help you teach your own class. The best way to learn is to teach, so taking this course will improve the skills you learned in the student course. It will also make you more in demand as a firearms instructor. Holding multiple NRA certificates and being able to teach effectively will make you more appealing to prospective students.